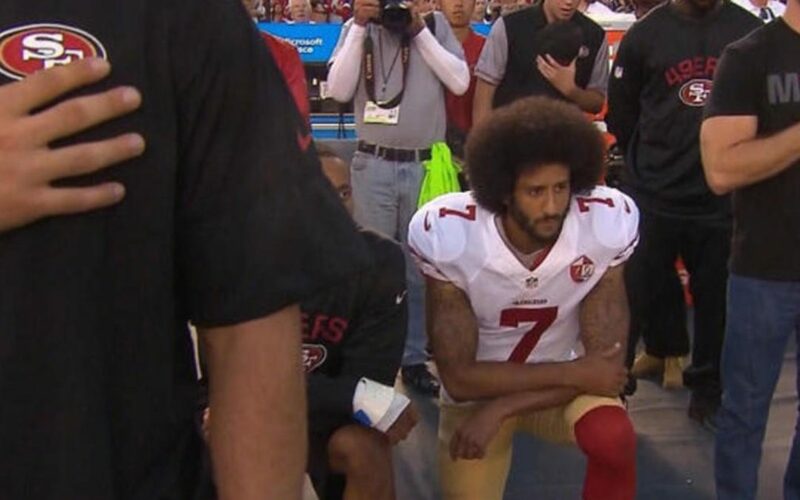 The purpose of this blog is not to gauge your opinion of Colin Kaepernick’s insistence not to stand for the national anthem before the San Francisco 49ers football game. Instead I want to throw a spotlight on the magnitude of the movement. A few days ago, there was a segment on ESPN which highlighted the growing involvement of athletes across the country. As an example, the NBA players are beginning to consider the actions they will take before their games to support the effort. Before a recent NFL game members of each team, both Black and White, including coaches created a circle where they all held hands in support of the movement. And if the thought is that this is a movement among millionaire professional athletes just look at the videos of local high school teams and marches in the streets of major US cities. Support it or not, it is an ever growing movement.